Jordan Brand officially announced the release date of a new edition of the Jordan Melo M8, Carmelo Anthony’s eighth signature shoe with JB. The Jordan Melo M8 will be released in Anthracite/White-Orange Blaze colorway on May 9. The new edition of Melo’s signature shoe is said dubbed as an “alternate” Knicks getup with the Knicks’ blue replaced with anthracite paired with the famous orange blaze. With the way Anthony is making waves in the NBA with his superb performances as of late, expect this shoe to also take the spotlight once it hits the market. 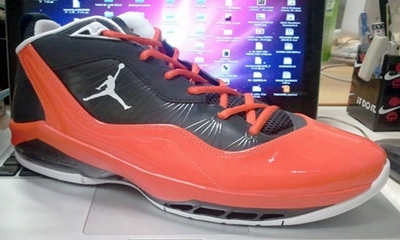 New Colourway of Jordan Melo M7 Future Sole Out!